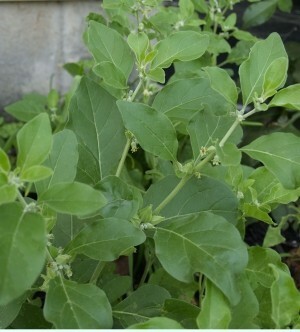 The leaves and roots are used as an effective aphrodisiac and sedative. It is officially in the Indian Pharmacopoeia. It is popularly known as Indian Ginseng. It gives vitality and vigor and helps in building greater endurance. It has also been used in diseases such as rheumatism, leprosy and arthritis.